UPDATE: In April 2015, an judge determined that DHS had overcharged interest on lump sum back child support obligations some non-custodial parents accrued before a court first set child support obligations. Read about how Oklahoma DHS might have overcharged interest on back child support here. Overnight adjustment starts with 121 overnight stays. A court determines child support obligations when combined monthly income exceeds $15,000. Calculations above are for combined monthly income of $15,000 – the highest amount listed in the Oklahoma statutory child support schedule. No overpayment would result using the DHS form to calculate child support adjustments for these income and overnight amounts. This calculator estimates how much excess child support might be collected if child support obligations are calculated using Oklahoma DHS Form No. 03EN025E. 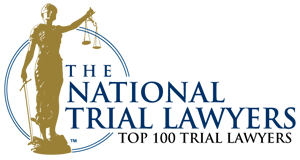 The error can result when adjustments for overnight stays are added to base monthly child support obligations when no adjustment should be made. 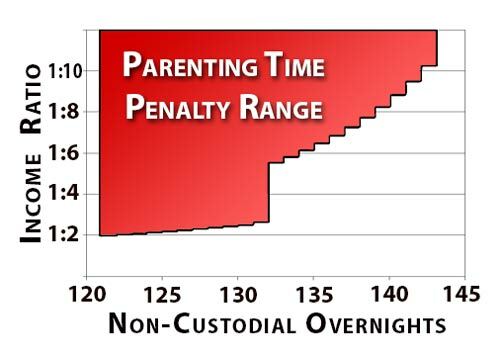 The error occurs most often when the child support payor earns two or three times as much income as the other parent, and the child stays overnight with payor between 120 and 132 nights a year. Oklahoma law provides a formula that reduces or even transfers payment obligations when a child spends more than 120 nights with the parent who pays child support. In some cases, the formula does not reduce the number, and should not be used. Instead, Oklahoma DHS includes the formula calculation in the form whether the result is more or less than the monthly child support obligation. This online calculator is only for estimating the error, and does not include other factors that can affect child support amounts such as shared medical or educational costs, child support paid for children in other cases, or overnights spent with someone other than the parents. For a list of complete online child support calculators, including the DHS calculator that produces the overnight error and an accurate calculator hosted at the Esquire Empire wiki, visit the esquireempire.com Oklahoma child support calculators page, or go to the DHS site for links to DHS child support forms, calculators and instructions. 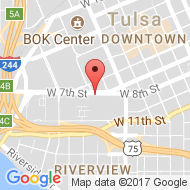 Contact a qualified Oklahoma child support attorney for an accurate computation of Oklahoma child support obligations, or use a more complete online child support calculator to estimate obligations under Oklahoma child support guidelines. This calculator is only intended to estimate approximate errors that can result from using DHS forms or online DHS calculators available between 2009 and 2014.